During the past weeks the scenery around us has changed quite drastically. The trees went from green to red, orange and yellow and now, in the cold autumn winds and the brilliant sun the last are falling to the ground. The sunlight is slowly leaving us in the evenings and mornings. This outside change marks the ending of the first block of courses within yip: global awareness. I experience a world that is dying everyday. Dying meaning fading out, falling, trying to run when its joints and muscles are screeching like train wheels braking on a rusty track. There’s an old world which I carry in me that is dying. I feel it when I hurt. When I see injustice in the world and feel prevented from correcting it because of something bigger than me. I sense it when I feel threatened. When I feel threatened as a woman and as a dreamer. I dream of something different, something that does star jumps and swims fast, something that floats on the surface of water and feels complete, that whilst gazing at the sky, surrounded by drifting water, knows it is a part of something bigger. As this course happened three weeks ago, much has happened since then, but the stories I was told have gained more depth as I interacted with the world. I have just discovered that in my home country, Brazil, the election that happened Sunday turned a presidential candidate who is openly homophobic and has misogynic views, who defends violence and ignorance as the main way forward, into the most voted politician in the first round of elections in the history of our young democracy. He received 46% of the votes, the equivalent of almost 50 million. 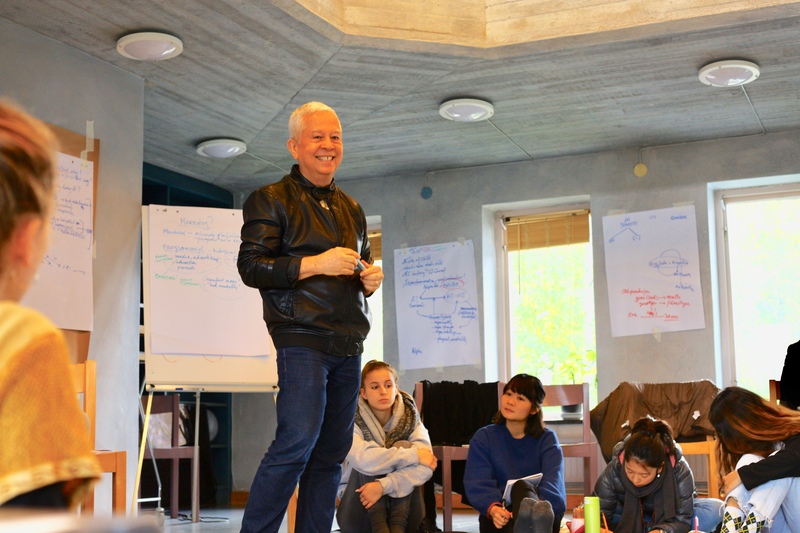 The feeling that surrounded me when I received that news was one of powerlessness, disconnection, hate and miscomprehension, resembling strongly how most of us felt after the first two days of the course in spiritual ecology. After researching on the planetary boundaries and the ecological situation of the planet, we had a feeling that was so well phrased in a fellow yippie’s question: Is it the purpose of the human to destroy the planet? There was a feeling in which it seemed that all we were doing was harm in the world, when Patricia McCabe, an elder from the Dine’ tribe arrived. She told us that in her vision, in which a different form of cause and effect manifested itself, the crisis we are facing is a crisis of relationships. In her view, disease is caused by a lie, and a healer’s mission is to live their life in a way they can keep the truth alive, so that when it comes the time they can present it so clearly that the person who is ill can understand, internalize and repeat it to themselves until they arrive at a vibration of truth. In her tribe they have the concept of a trickster, an evil spirit that creates illusions as a way to gain power. And the main illusion created by such spirit was the illusion of separation. Separation between men and women, left and right, rich and poor, but also between humans and the earth, which are at the root of the wound that is still hurting humanity to this day. 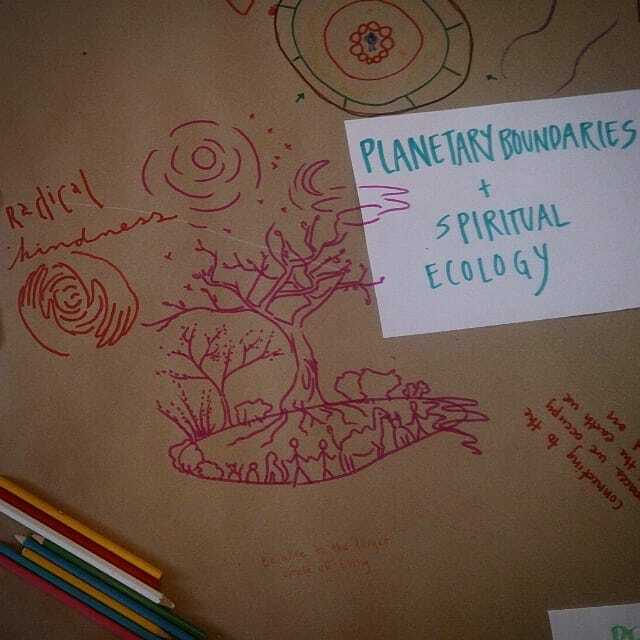 She introduced us to the power that is held within the stories that maintain our society, one that was heavily influenced by her participation at the new story summit in Findhorn. The story our society tells nowadays is one that leads to death and disconnection, and what we need to do is retell our stories, so we can be able to heal our future. Patricia called our attention to the story of scarcity, the fight for resources, and the power-over paradigm that is being fed by our society in the present. She told us a different story in which nature actually does everything in abundance, and where there is enough for everyone and everything to fulfil their purpose. She told us how the first anthropologists that studied north American tribes described her ancestors as child-like and primitive, because music and dance played a central role in their way of living. And she told us how instead of being resentful and continuing the flow of misunderstanding, a friend of hers tried to understand why they would judge them like that. This friend discovered that these anthropologists, when they were young, used to have lessons of music and were free to dance, but were forced to stop and dedicate themselves to academic studies. That is where their hurting comes from, he told Pat, that is why they judge us. He had retold the story in a way that would allow healing to happen. Patricia McCabe taught me so many things, most of which were already inside of me, but dormant. She taught us, holy earth surface walkers, about gratitude, joy, the sacred hoop of life, the archetypal wounding of humanity, and different ways of knowing, but what is most alive in me now is this: that we can retell our stories. She said her greatest contribution to the world is her story of coming back home, her journey from growing up in disconnection to rediscovering her place and her tribe. And in the end, she offered a question that makes me evaluate all of my actions in these hard times; How am I serving life, light and love? 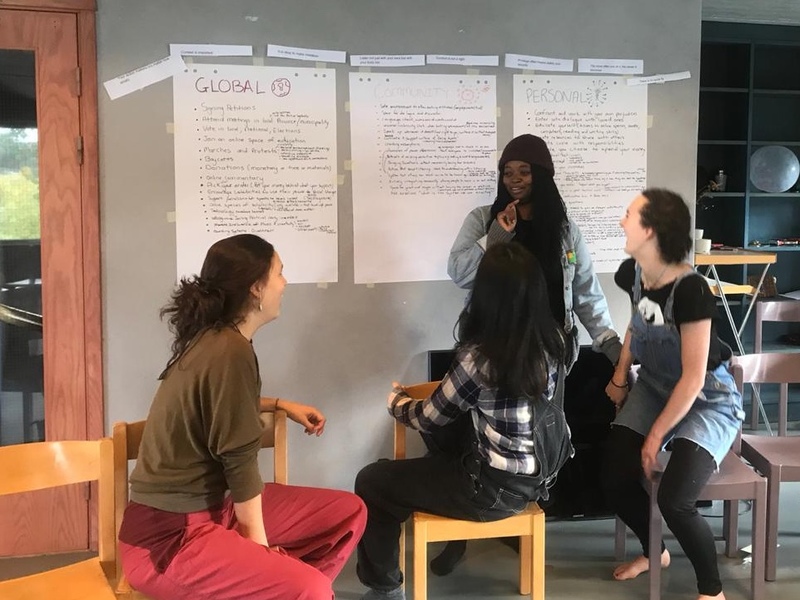 As the days began to get colder and the crisp feeling of autumn’s awakening began to creep its way into our days we were met with a course titled Power, Privilege and Oppression which was contributed to us by two lovely former yippies Didi and Mindy. 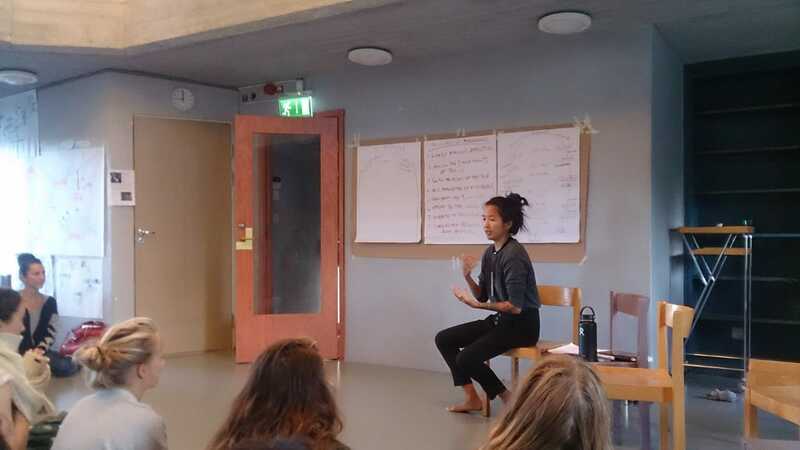 I really appreciated the opportunity to take part in a course that was presented to us by people who have a deeper understanding and insight into the yip life having both been a part of yip themselves. Our days were divided up into Naming, Acknowledging, Listening/Telling, Action and Personal Responsibility. There are quite a few things that have stuck with me from that week one of them being this eye opening realisation that although I thought I had reached a destination in my being open and aware about many different important topics I still have a lot to learn. Throughout this course my head was lifted and my eyes opened to the actuality that being open and aware will always be a journey, a path where I must tread softly but with determination. “constantly be inquisitive in order to stand in your own belief” – Didi. By the end of the week I felt a great urge to go out and take action and I was inspired to take the opportunity that I have to educate myself to the best of my ability. As every week, I didn’t know what I was expecting from this course. Was it going to inspire me, interest me, bore me, depress me… It could go every direction really. As the course started I tried to immerse myself in the content that Nicanor was bringing forth. And I managed to do that from time to time, but it was far from a smooth week. The first days we looked at and explored the relation between us and Artificial Intelligence (A.I.) and what it actually is. To be honest, I still don’t really get what A.I. is and that is –as I now realise- okay. We touched on terms like the authentic self, the programmed self, deviants, big data, transhumanism, material vs spiritual, creativity, the system,… As the week progressed we started looking at more complex ways of approaching A.I. and I started losing track. I don’t exactly know why or what led to this unclearness in my head. I guess that it was the feeling of not being able to catch up or follow with was being said, which made me feel very stupid and naive. I needed time, that’s what I wrote in my notebook. So I took some time. And guess what, now, a few days after the course has finished I can look back on my experience that week and say that I have learned something. Not only about A.I. but also about what I need. What do I take with me, explore more and use? And what do I let go of? When do I dig deeper to find out and when do I let things pass just above the surface? How can curiosity and capacity balance each other out? At first, it was difficult for me to see how everyone had such different experiences of these days. I couldn’t accept that my experience wasn’t theirs. Why do they understand this and I don’t? What am I lacking? I reminded myself that this was the first time I had ever talked about, or even heard about A.I. and that I shouldn’t expect myself to be an expert after these few days with Nicanor. I don’t even want to be an expert. And I’m perfectly fine with that. So what I actually want to make clear is that every course and every day is so different for each one of us. And that’s completely fine. Imagine that everybody reacted in the same way to each experience, that everybody felt the same way about certain topics or that everybody had the same opinion. The world would be pretty boring, wouldn’t it? 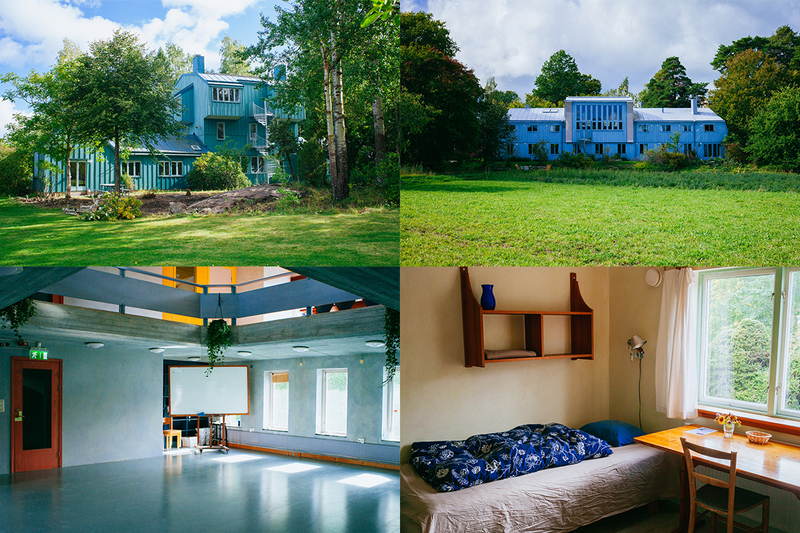 When the participants leave Sweden for the outpost and internships, the YIP buildings in Ytterjärna are available for rent. Pictures by: Ilias De Quidt and Christianne Sinoo.